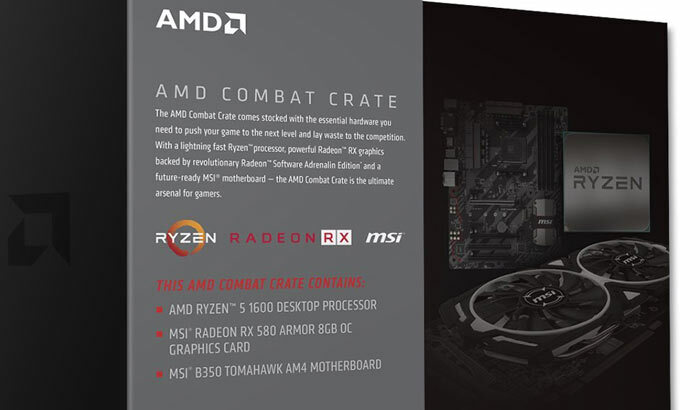 AMD has introduced Combat Crates. The proposition is a simple one – in the ‘crate’ is a bundle of modern AMD CPU, motherboard and GPU. This is “all you need to game,” says the strapline. 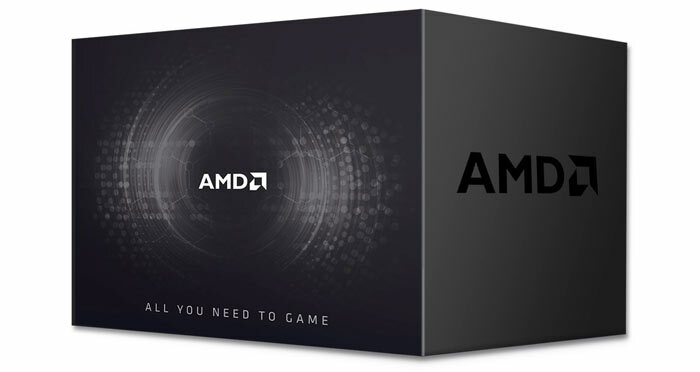 VideoCardz discovered the existence of the AMD Combat Crates a few hours ago, then updated its story as the first ‘crate’ became available on Amazon. The idea behind the AMD Combat Crates seems to be that it will give a neat all-in-one upgrade solution for people wishing to boost a tired old PC, or provide the foundations for a brand new one. Secondly, and perhaps more importantly, the GPUs included in the crate could alleviate a struggle for supplies of such components by PC gamers. The theory is that a cryptocurrency miner wouldn’t be interested in these Combat Crates as each crate contains components surplus to requirements and adding to the cost. The economic argument might have been good weeks or months ago, when the idea of Combat Crates was born around some boardroom table. However, as PCWorld notes, the AMD Combat Crate, only avaiable in North America, listed at US$549 isn’t the bargain it would have been a month ago. On Amazon US now you can buy the Combat Crate components individually for a total of US$587 (with the CPU available for $175, the motherboard for $85, and the GPU for $327). 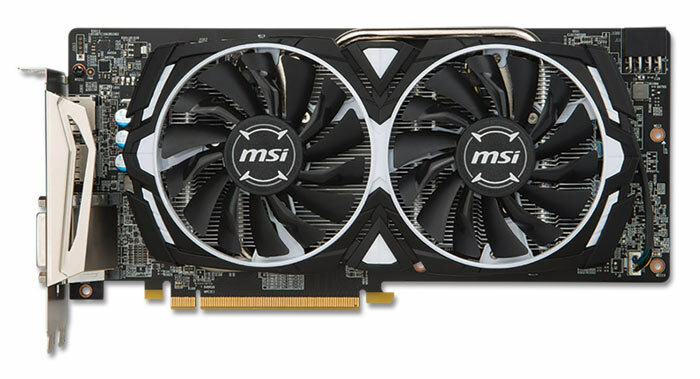 A month ago the MSI RX 580 Armor graphics card alone would have cost $465. 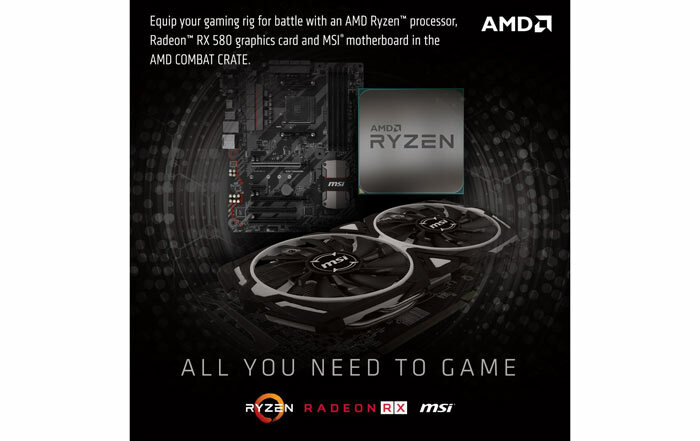 Another aspect of the Combat Crate bundle to consider is that AMD has very recently dropped several 1st gen Ryzen processors from its lineup, motherboard partners will be seeing slacker demand for 300 Series motherboards, and this is a good economic way to sell them. In other words, the spotlight is off 1st gen Ryzen processors and 300 series motherboards, while 2nd gen Ryzen processors with 400 series motherboards are the current objects of tech enthusiast desire. It's hardly “All you need to game” without any RAM included. Most people (myself included) would've been looking at this to refresh an older DDR3 system. It would have made more sense if it was $100 less, that's roughly what the component parts cost (going on SEP prices) so it seems they took that and added $100 so they could cash in on these crazy prices. Good idea subverted by what seems to be corporate greed. That could still work for a Vega card, but I think the RX 580 cards are settling down enough that a bundle of “not quite the parts I would have chosen” seems unfortunate. … Good idea subverted by what seems to be corporate greed.